I started book blogging January of 2012. I had a blog before that, but I really wasn't doing much of anything with it. 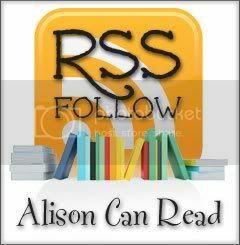 I had no idea there was such a thing as book blogging until I started to look into sharing my book reviews on my blog! Being able to discover and share books and bookish thoughts with other people. I'm lucky enough to have friends that love to read, but now I'm part of a community of readers and I really enjoy it. My tastes are all over the place and my favorites change frequently. The Phantom Tollbooth by Norton Juster and Fahrenheit 451 by Ray Bradbury are some old favorites and my new current favorite is The Mortal Instruments series by Cassandra Clare. Besides the initial awesomeness of finding out there was such a thing, I would say having friends wait for me to review a book before buying it. It makes me feel good that my opinion matters a lot to them and they trust my reviews. But book blogging has opened me up to a community of readers and authors and enriched my own reading so much, it's hard to pick the absolutely best thing that has happened to me because of it. Q: What is a deal breaker for you in a book? For example, do you abhor love triangles? Or can't deal with bad editing? The only deal-breaker I have is horrific grammar. That almost never happens in a book that is published by a reputable publisher. Granted, there are still plenty of books with grammar issues, such as overuse of certain words, but these problems aren't usually serious enough to make me give up on the book. They're just annoying. There are plenty of other things that I don't like - insta-love, love triangles, etc. But all of these can work if the author puts a unique spin on them. Also, if the rest of the book is good enough, I will usually forgive the annoying elements. I'm Emily @ Simple Books! Thanks. Like your response. Just hoping through. I agree, bad editing gets on my nerves so much! It constantly distracts me from the actual story! Hello! I completely agree with you I hate bad grammar but I can usually get passed it if the story is good enough! I am with you. There are a few things I don't like, but can usually be forgiven. :) Happy Friday! Agreed. Love triangles didn't bother me too much until every darn book I bought had one. Have a great weekend. Bad grammar is a big pet peeve of mine too, but same with you it's not a big enough problem to make me stop reading. I haven't had many books with bad grammar, but one in particular really did annoy me. When I contacted the Author, she said that she published it without a Beta Reader or a Critique Partner, but was going to re-publish it after she was finished with book 2. I must say that it affected my review of the book though. Insta love is annoying too! But I can tolerate it if there's a good reason for it. Nothing worse than a book with bad grammar! I agree with the grammar, but I find the repetitious word usage annoying! The grammar and the bad editing can be major issues. Ugh! I hate bad grammar and typos as well. Of course, I realize that such things happen in blogs (I'm probably a culprit there), but if I've paid for a book I expect that the author and publisher had the respect (for both me and themselves) to carefully check their work. I'm the same way, if I'm loving a book, I can get past the mistakes, but they are super annoying! Bad grammar is definitely something that keeps me from enjoying a story because it continuously reminds me that I'm in fact reading, and it doesn't allow me to just sort of sink into the world that's been created. That said though, I can usually overlook it if the characters or story are strong enough, it all depends. I don't know if I have any absolute deal breakers, they're all so circumstantial! I'm actually pretty forgiving of this one. :) If its storyline can grab my attention, then I ignore the grammatical errors. But I agree, in some books grammatical errors are simply impossible to ignore. I'm SO with you! Bad grammar is a really hard one to get past. I can deal with love triangles and insta-love because they can be done well even though they are awfully repetitive these days...but bad grammar just ruins a story. Great answer, thanks for sharing! Here's my FFF this week. Slow plots, bad grammar and perfect characters are my deal breakers. I follow you by GFC. Hi Allison......Stoppin by to say Hi! Such a good question this week and so many thought filled answers! Beth at bethartfromtheheart.blogspot.com . Old follower.